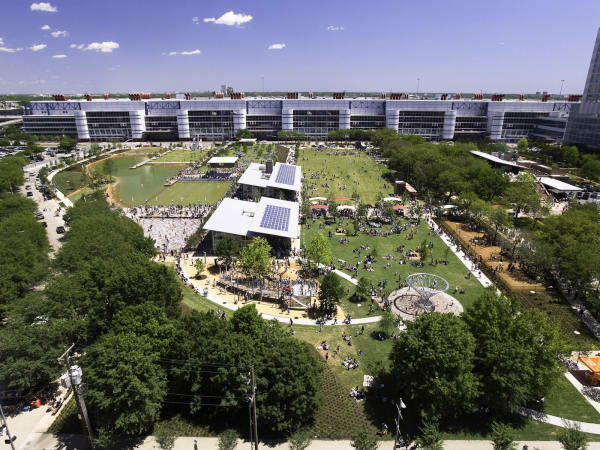 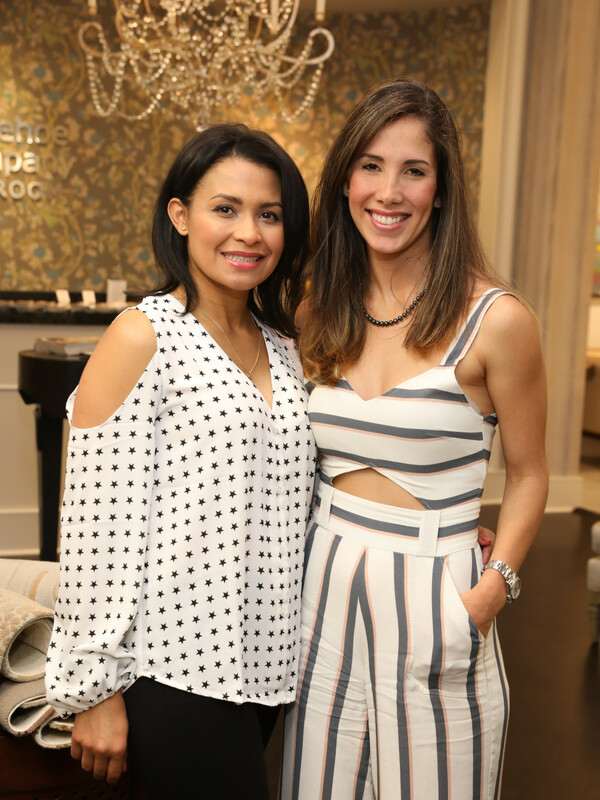 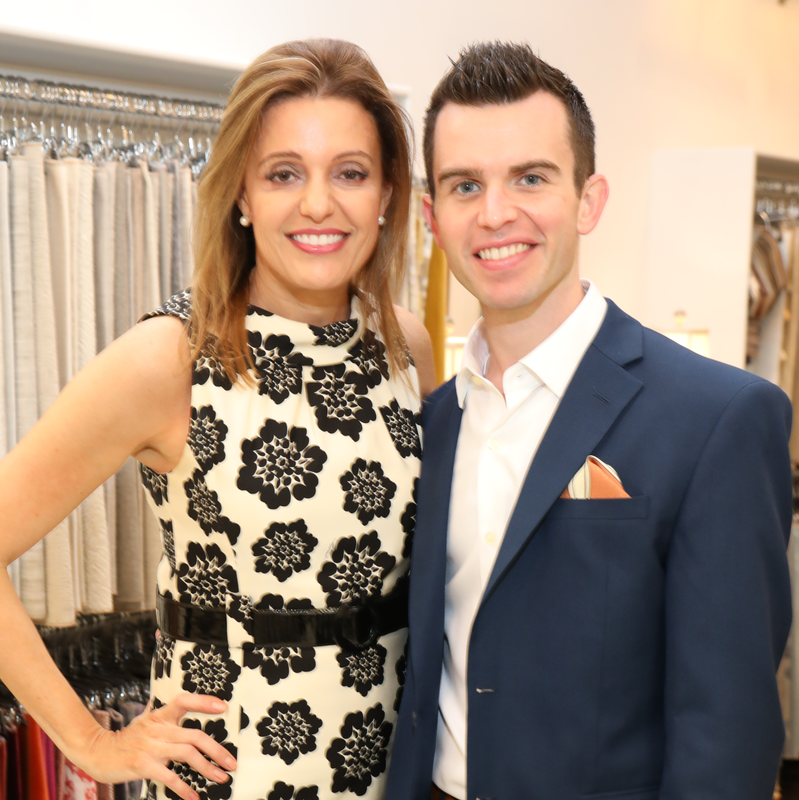 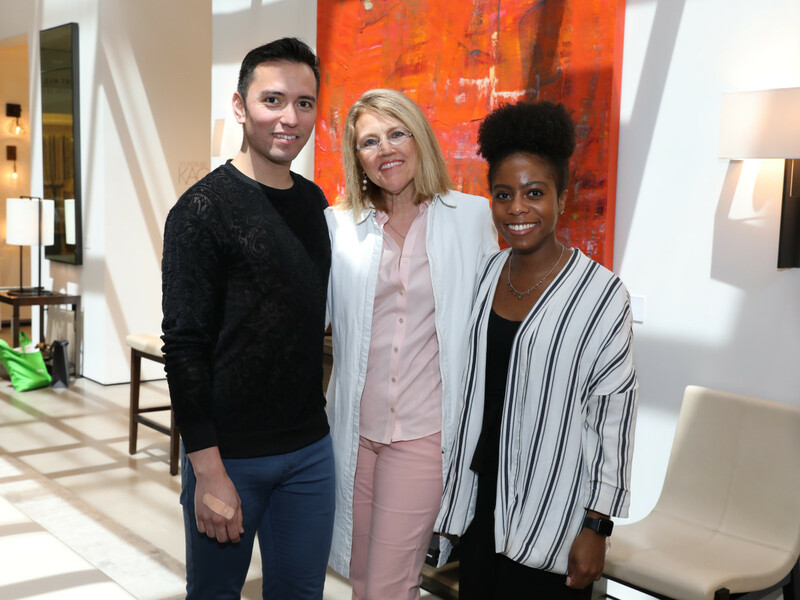 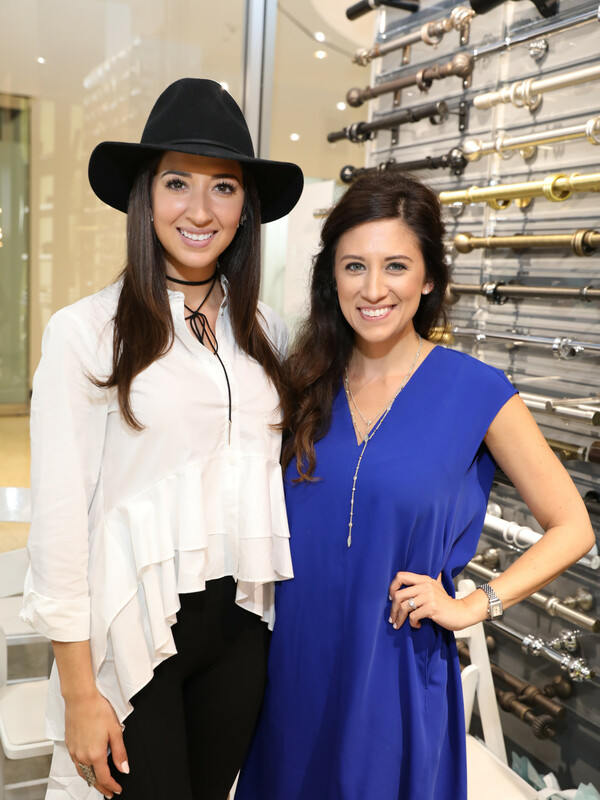 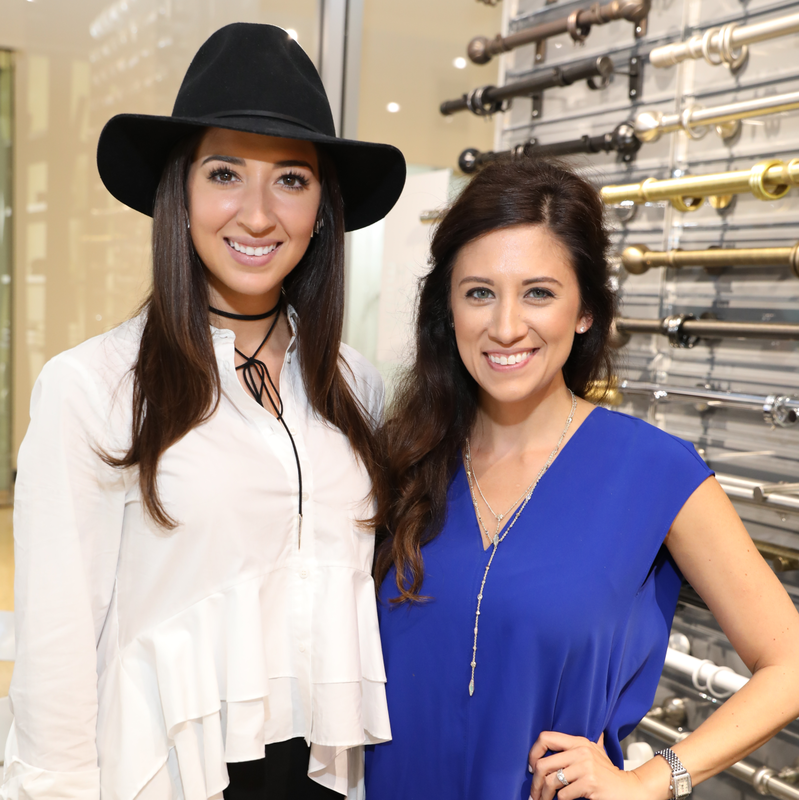 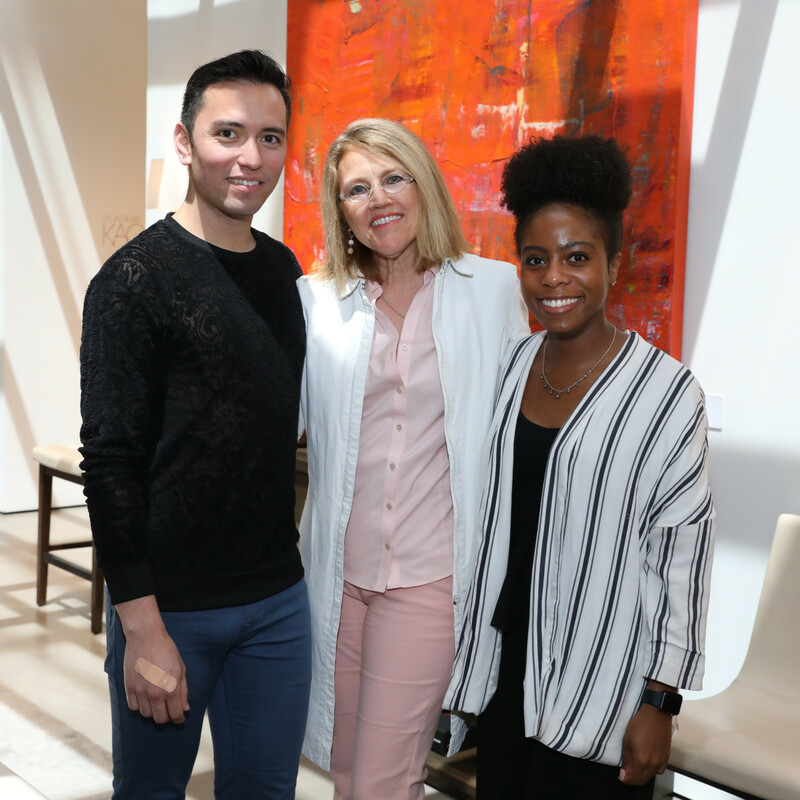 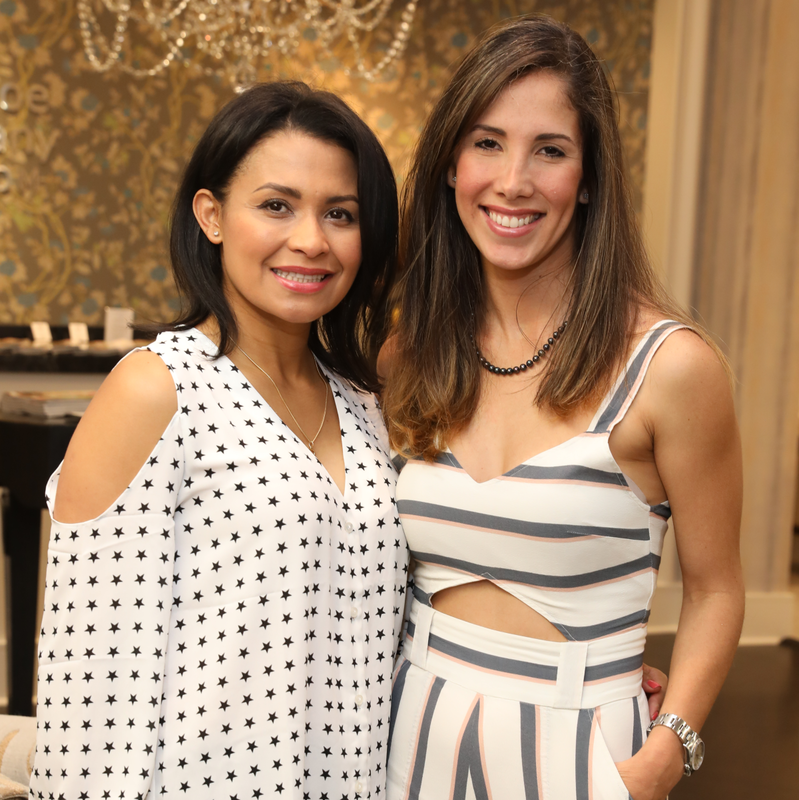 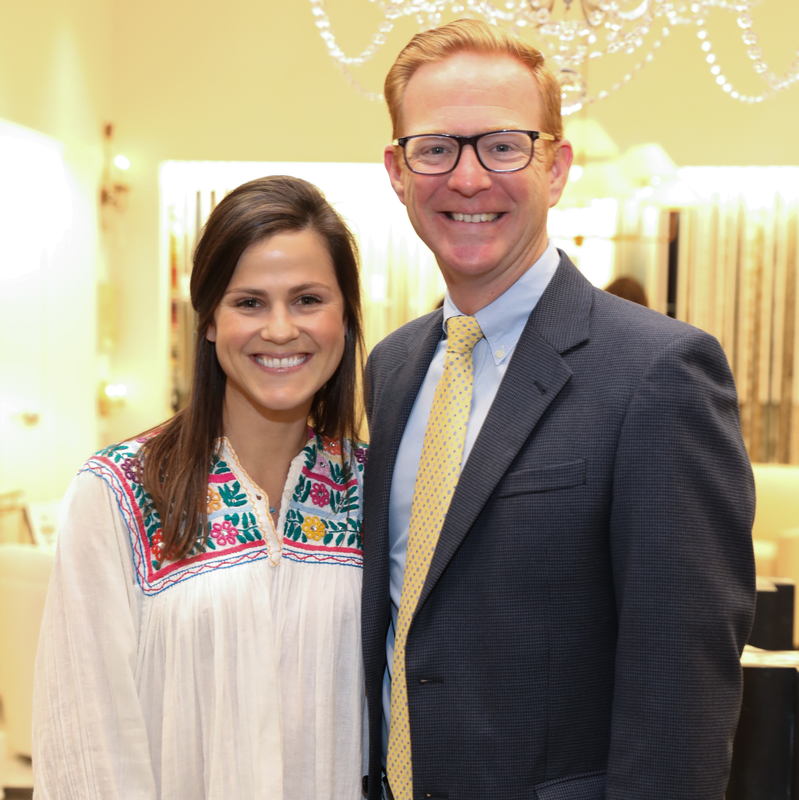 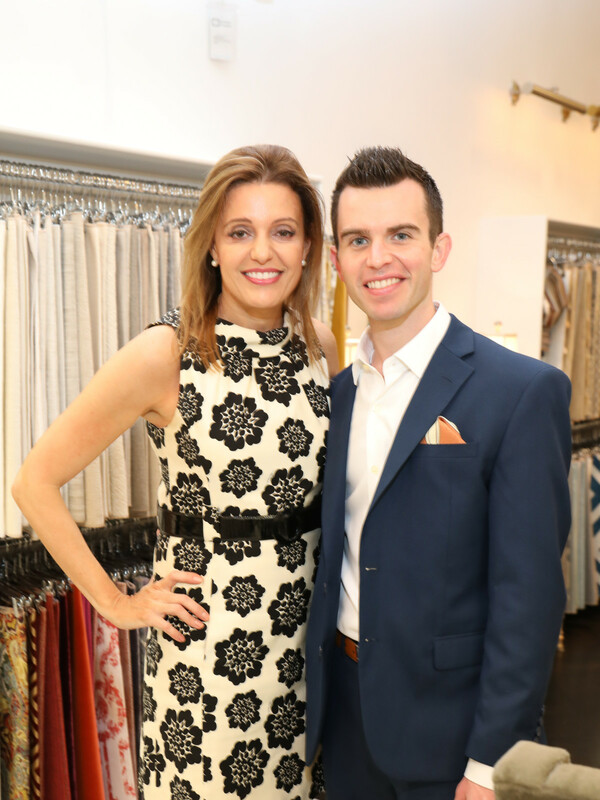 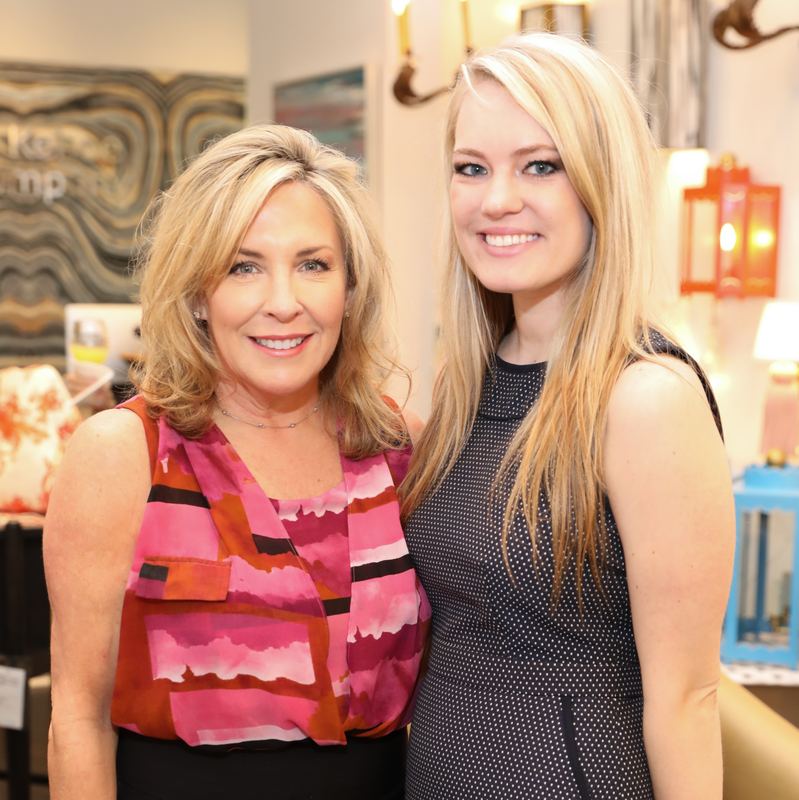 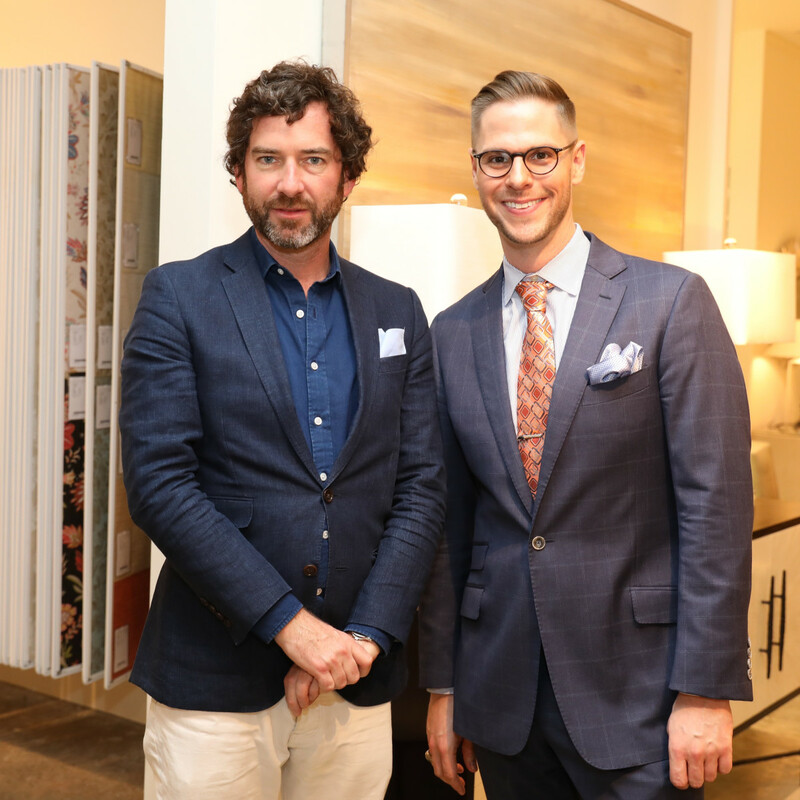 Several of Houston leaders in interiors, architecture, photography, product, art and landscape design as well as rising young talent were honored at the Decorative Center Houston Spring Market 2017. 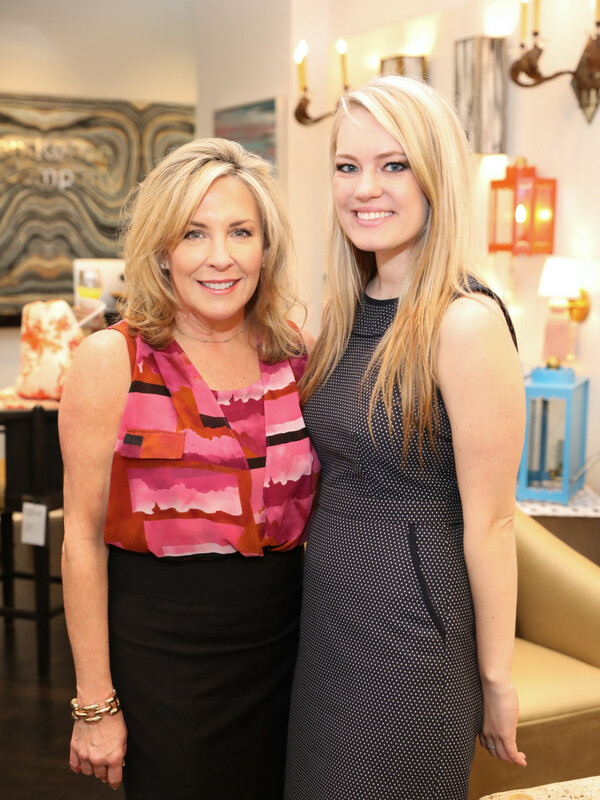 Artist Katherine Houston, photographer Mabry Campbell, graphic designer Hillary Ellynne, shoe designer Joyce Echols, landscape designer Lanson B. Jones, interior designer Ben Johnston, and architecture firm studioMET and partners Yoonchul You, Shawn Gottschalk and Stephen Andrews were honored as Design Star Winners, while interior designers Marie Flanigan and Jorge Cantu were recognized as Stars on the Rise. 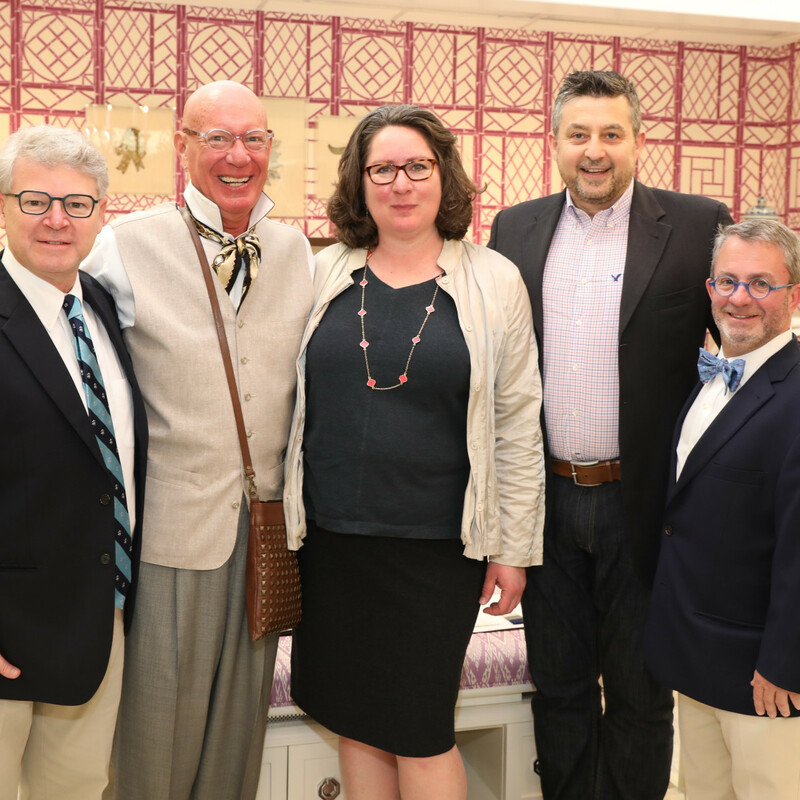 The Lifetime Achievement award was presented to William Curtis and Russell Windham of Curtis & Windham Architects during a ceremony in the expansive Decorative Center lobby. 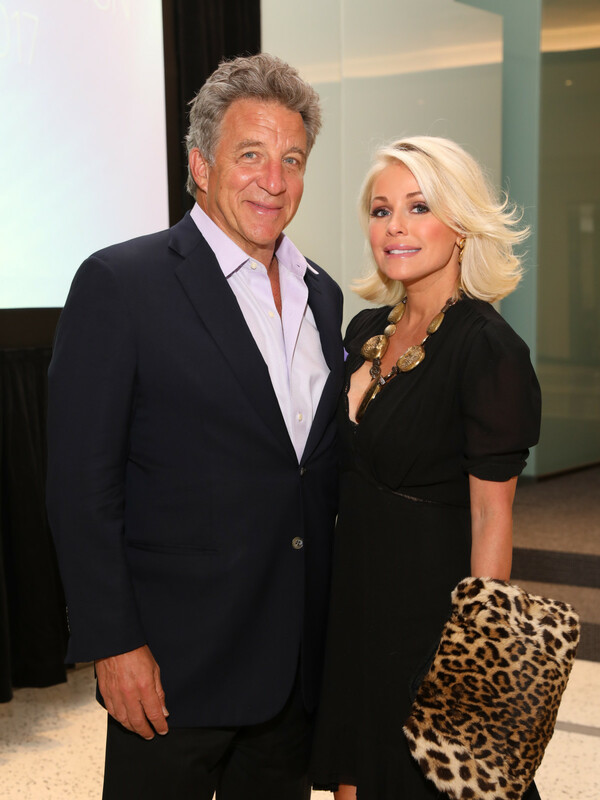 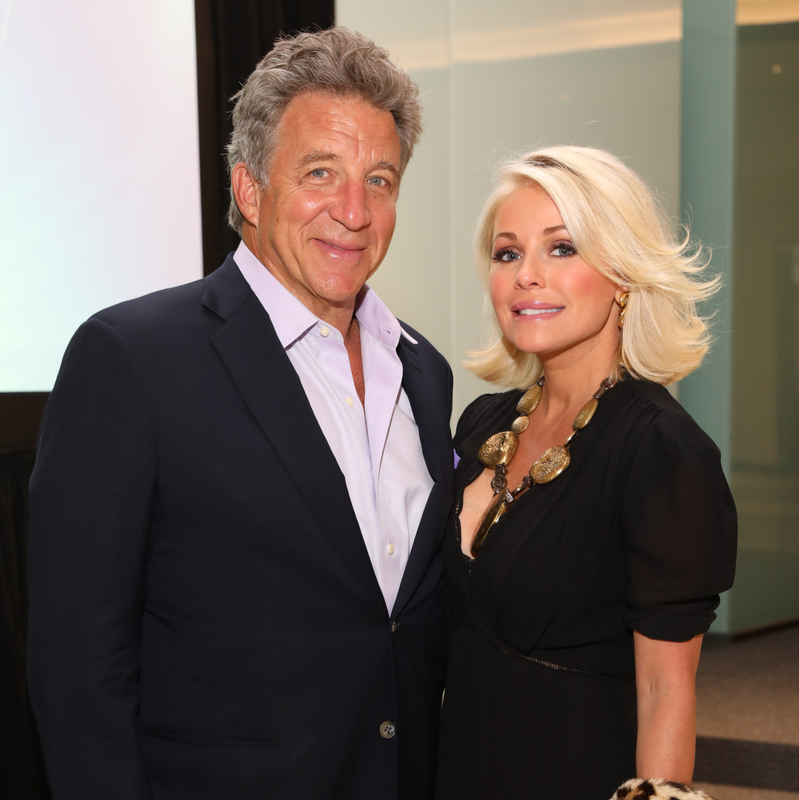 Decorative Center owner Charles S. Cohen and his wife, Clo, did the honors at the by-invitation-only evening party. 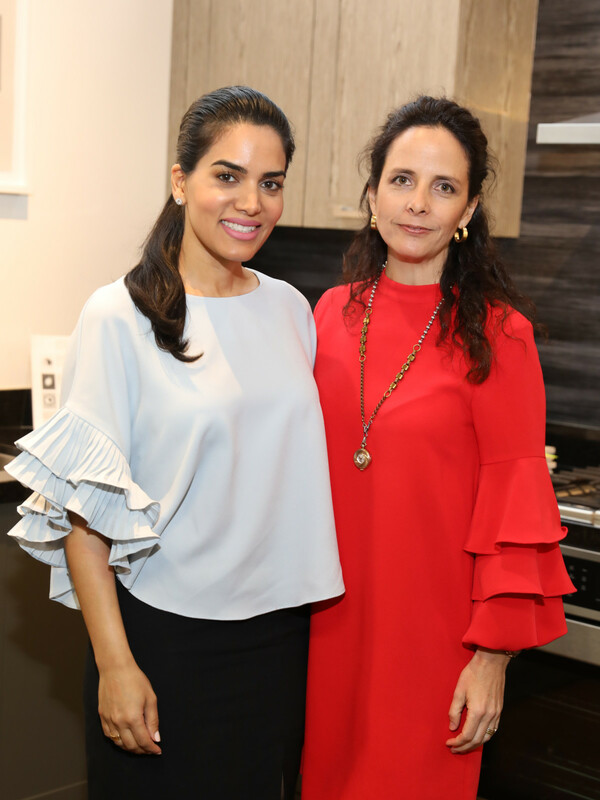 Thoughout the day, more than 500 guests streamed into design showrooms in the 10-floor building for special seminars and tasty nibbles. 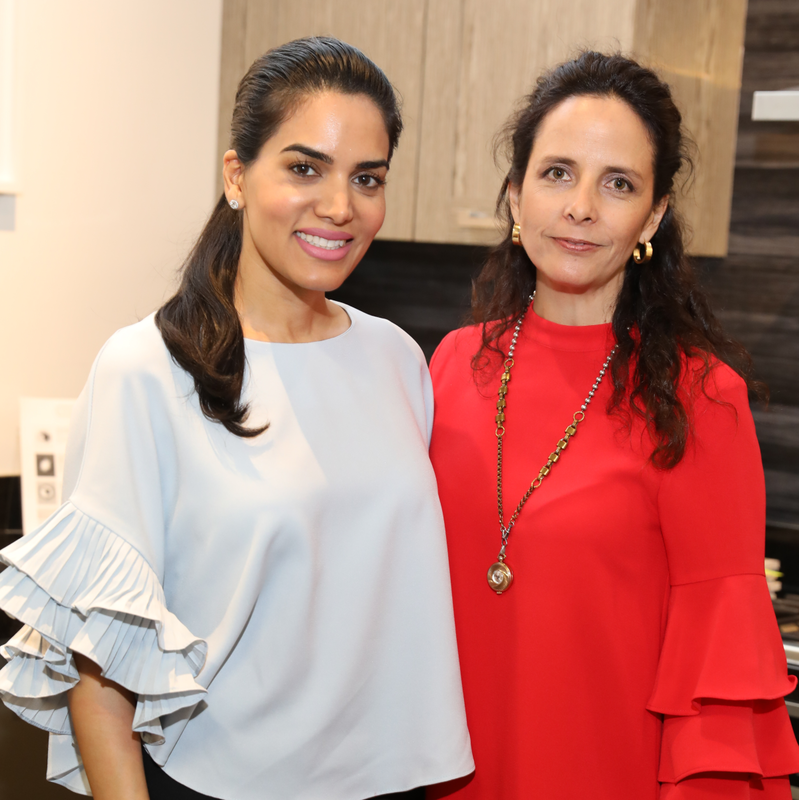 (The showrooms are usually reserved for interior designers and their clients but on this day were open to the general public.) 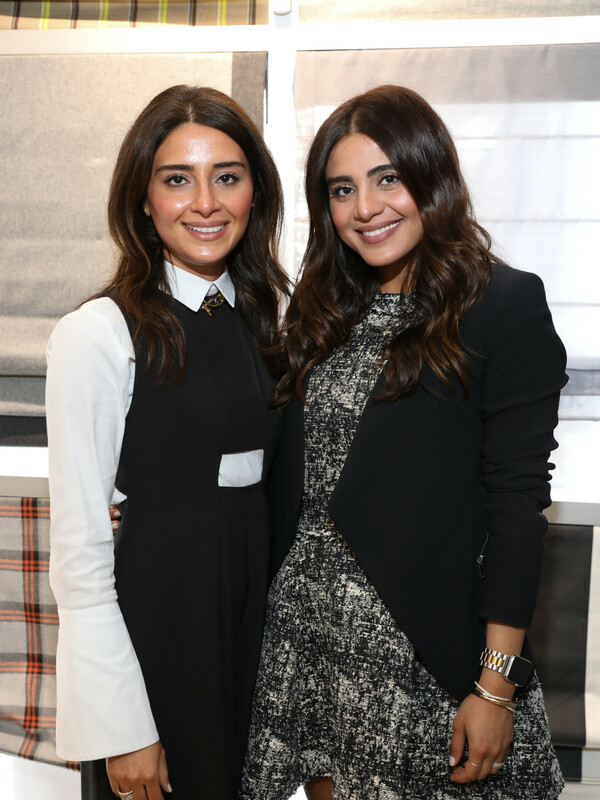 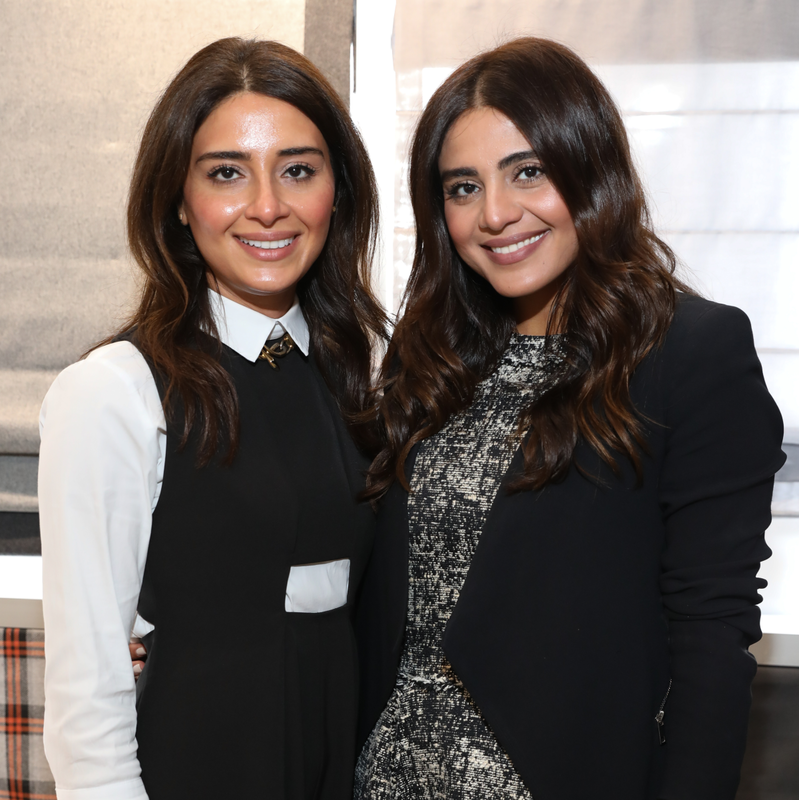 Among the highlights was a spirited discussion of design and social media with Saba Jawda and Sarah Jawda (@jawdaandjawda), Caroline Knapp (@houseofharper), and PaperCity's Anne Lee Phillips at The Shade Store, a discussion of design trends by Nina Magon at Madeval, and a cooking demonstration amid the luxe surroundings of the Eggersmann showroom. 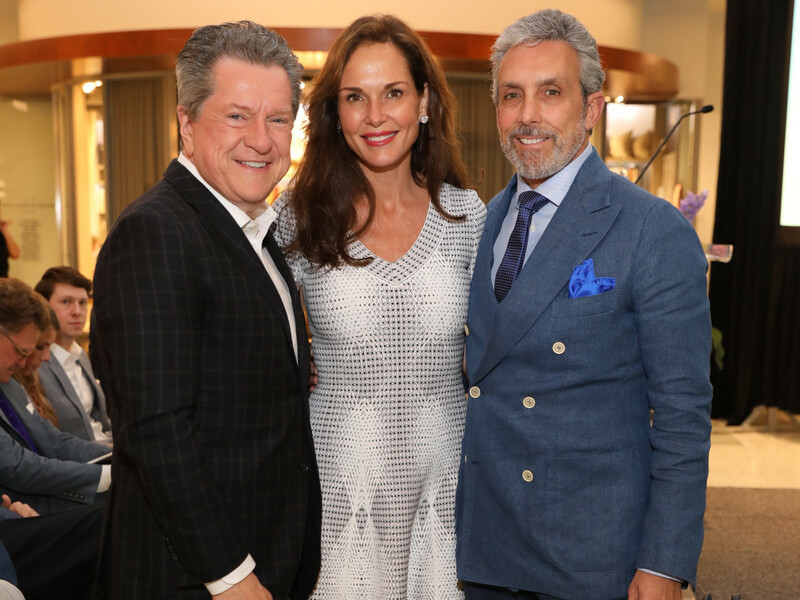 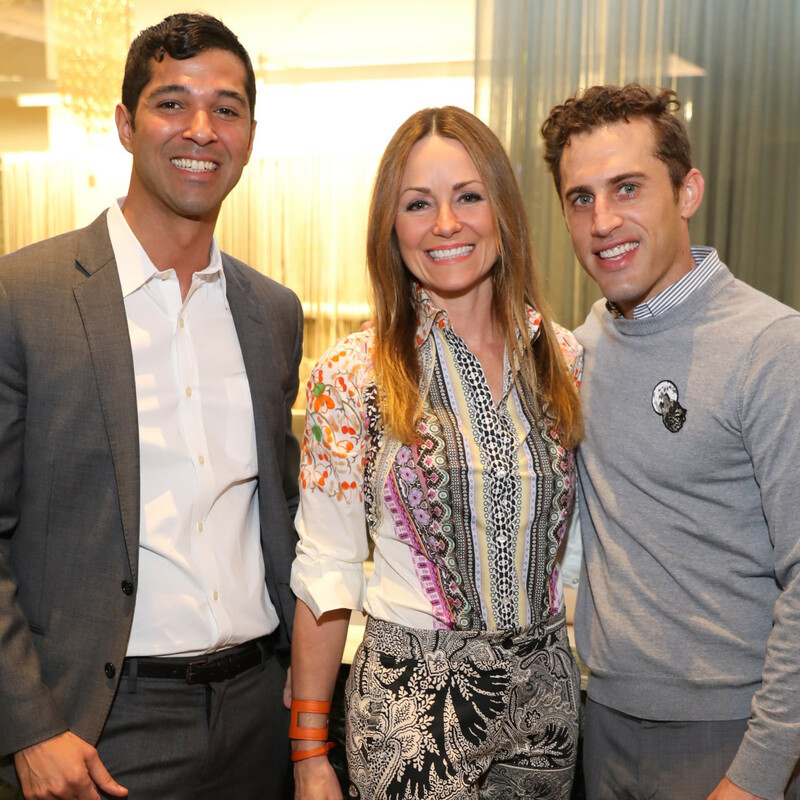 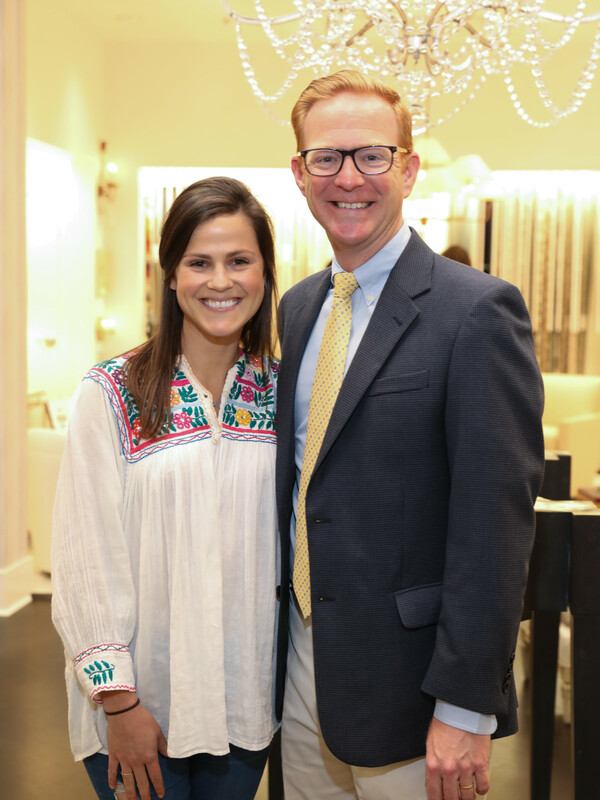 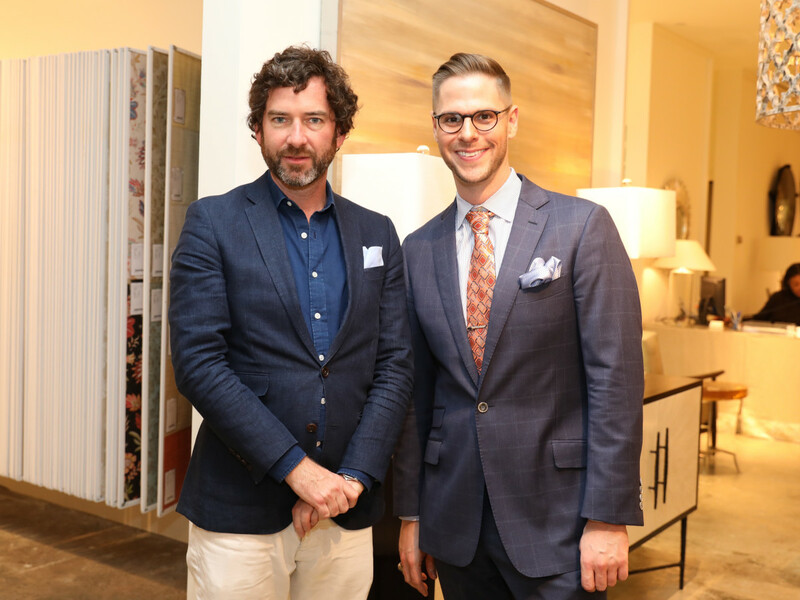 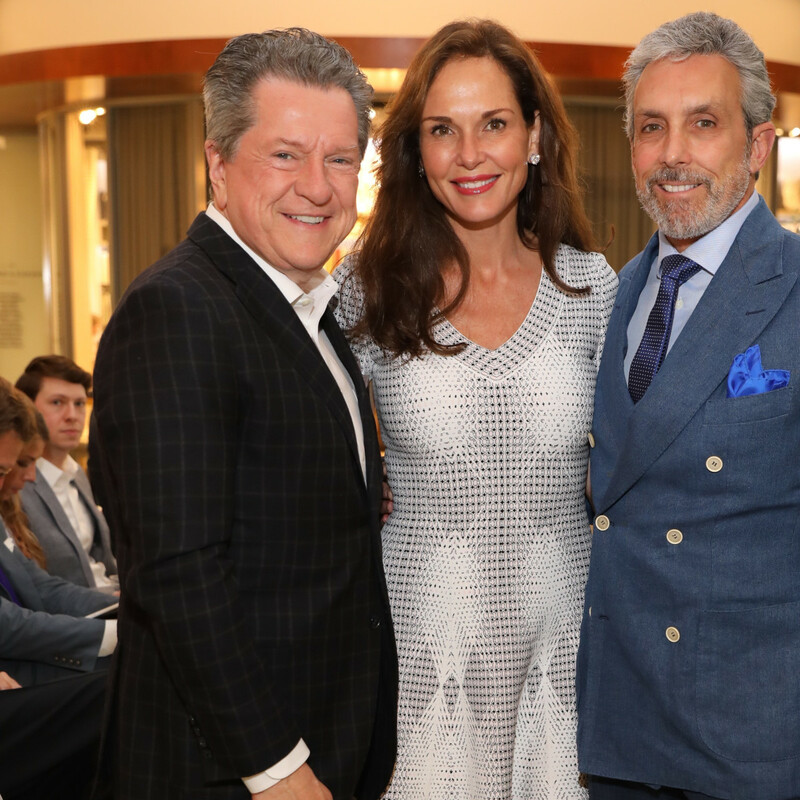 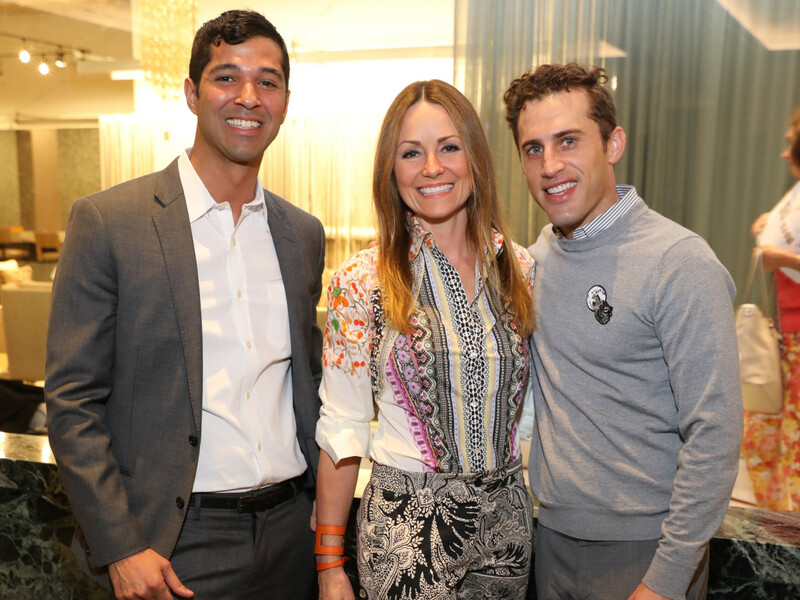 Also on tap were keynote speeches by Veranda's Keith Robinson, who discussed "Elevated Entertaining with a Southern Charm," and Los Angeles-based designer and writer David Netto, author of François Catroux, detailing the life and work of the international master of interior design. 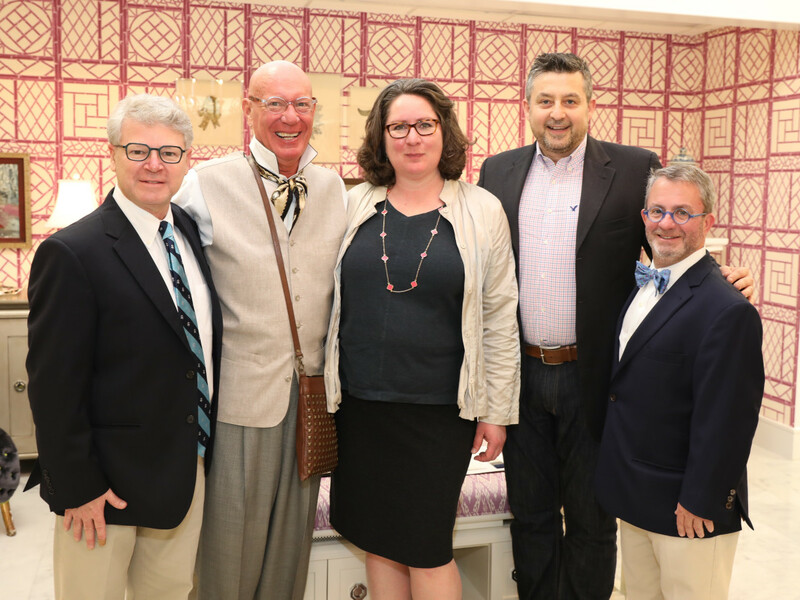 Guests dropped by the latest Decorative Center addition, the Dedon showroom, which features handcrafted luxury outdoor furniture. 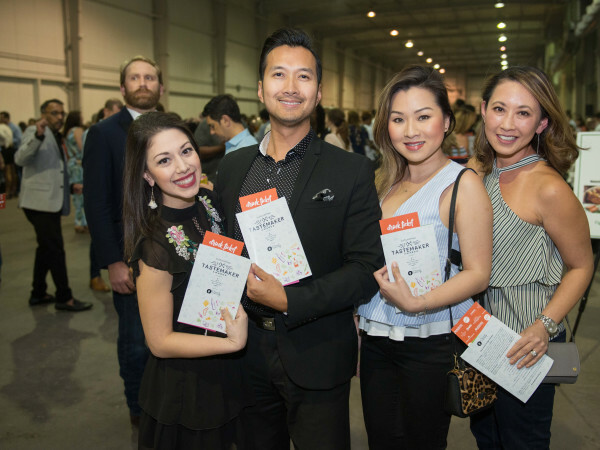 Seen in the crowd were Bill Stubbs, Keith Robinson, Fiona West, Ken Kehoe, Kelly Amen, Steve Wyatt, Lucinda Loya, Michael Mandola, Angel Rios, Mackenzie Cash, Ellen Cairns, William Eckert, Shelia Cloudt, Zoe Pittman, Madeline Garrett, Yesely Love, Lisa Chumbley, and Eric Nevil.